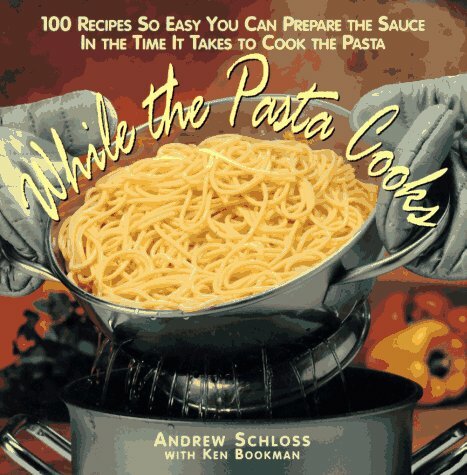 100 pasta dishes that can be prepared in the time it takes to cook the pastaWhile the Pasta Cooks is the ultimate book for pasta lovers in a hurry. Every pasta sauce in the book (100 recipes in all) can be prepared in the time it takes to bring the water to a boil and cook the pasta -- about 20 minutes or less.The authors believe that by cutting down on cooking time, you improve the taste of your food. For example, fresh herbs like basil and oregano are added just before the sauce is completed, adding much more flavor than using dried herbs.Pasta has been one of the most popular topics in food for the past several years because it is so affordable, versatile, and nutritious, but no cookbook has been written before with such an eye for saving time in the kitchen.